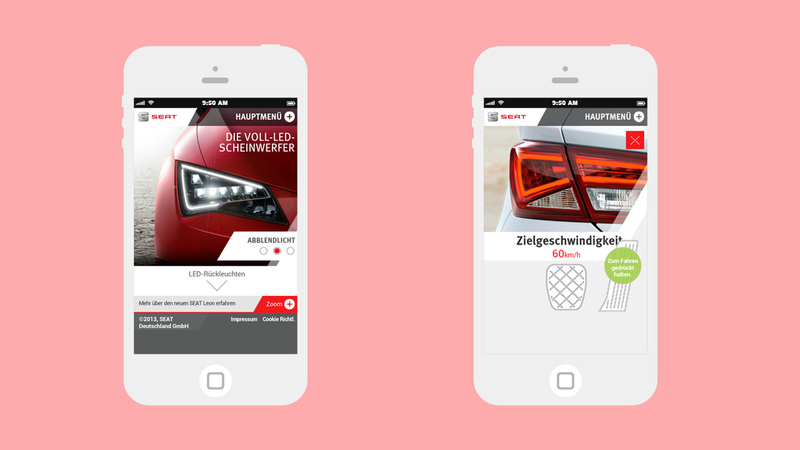 Mobile campaign to promote the all new SEAT Leon. 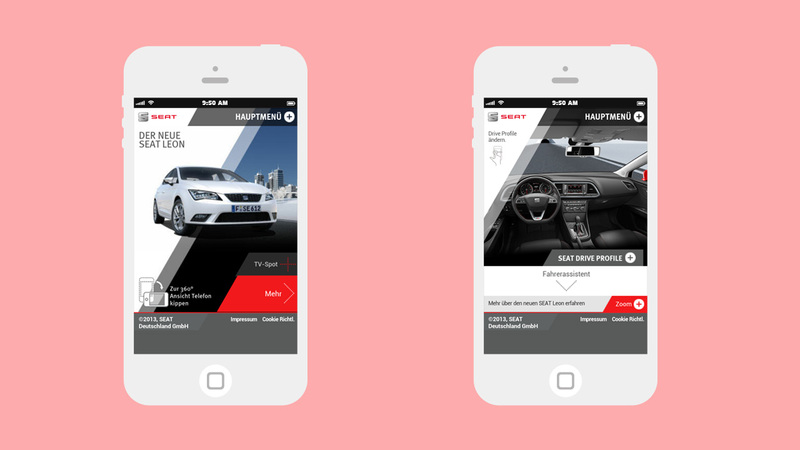 As part of SEAT’s broader campaign to launch the all new SEAT Leon in 2013, we developed an interactive mobile and tablet experience highlighting a variety of features available to potential customers. Working with the creative team at Movement, I worked closely with the Creative Director to develop a suite of designs across Mobile, Tablet and Feature Phone that allowed the Leon’s features to ‘come alive’ on a variety of devices. 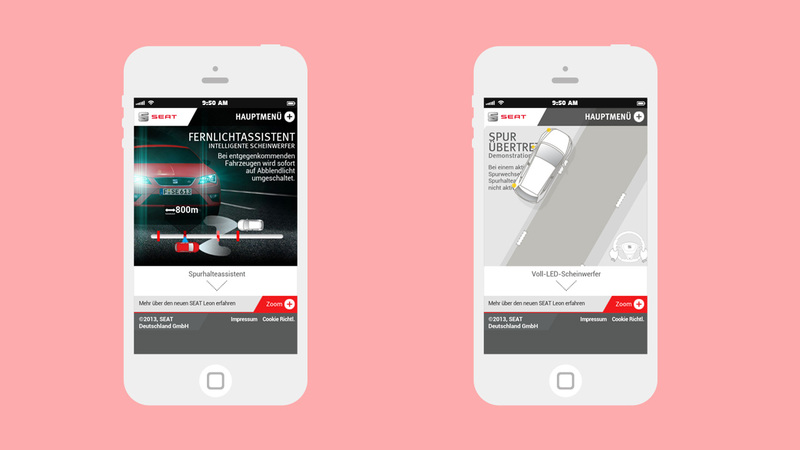 User interactions and hardware capabilities such as accelerometers were used to explain and present key features of the Leon, providing a rich mobile experience that would ultimately lead customers to find out more, book test drives or get in touch with SEAT dealerships. 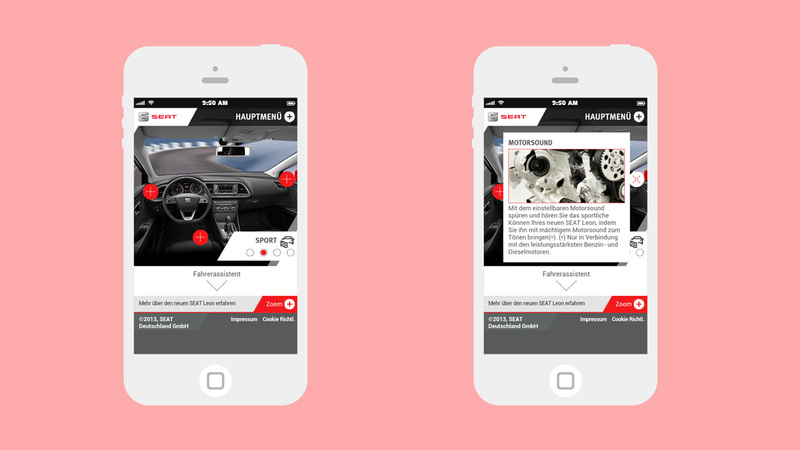 Currently available in a number of European territories, the site will continue to roll out across key markets, and provide the foundation for a number of ongoing mobile and tablet projects being developed for SEAT by Movement, along with its creative partners and lead agency.